Westwin is part of the Royal LePage network, a North American industry leader in technology. Whatever your reason for visiting our website, we hope you will find what you are looking for ... our leading-edge system allows you access to service wherever you live or work. You can browse through a selection of residential, commercial, investment or recreational properties across Canada. 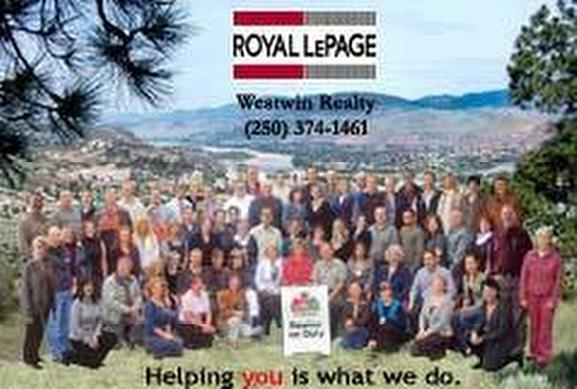 Whether you are buying or selling, the REALTORS® at Westwin provide the "personal touch" with specialized knowledge of Kamloops and the surrounding area, helping you make informed decisions about real estate. Please take the time to browse the links listed on the sidebar - we think you will find them informative. Then call one of our experts today!